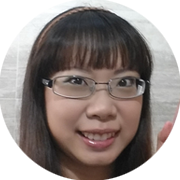 I love receiving freebies/samples and don’t mind testing out new products in exchange for my honest reviews. 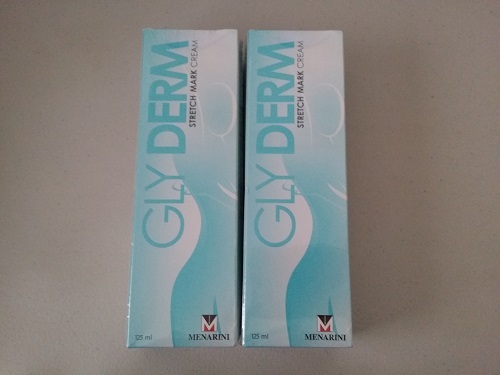 I don’t quite remember where I signed up to receive samples of Gly Derm Stretch Mark Cream but was thrilled when they arrived in my mailbox. Instead of the usual small sample packets, I received two full tubes! Wow, that was pretty generous of the sponsors or so I thought. That was until I opened the package and flipped the boxes over. To be fair, I really don’t quite remember the exact date I received the samples except it was either late July or early August (around the time I went for my babymoon). But really, who the hell sends samples that expire in slightly more than a month?! If they were small packets that can be used up in a few days, I would have perfectly accepted them. These are full tubes, mind you. I cannot possibly finish two full tubes in a month! Even as a regular user of stretch mark cream (I use it daily since I got pregnant), the feat is impossible. The whole situation made it look like the marketing company was trying to get rid of old stock more than they seriously wanted people to test the products. Unfortunately, I couldn’t recall the name of the company that sent me the samples as I had thrown the envelope away. Only remembered that the company name starts with ‘T’ and is located in Telok Ayer. But no worries, with my awesome internet stalking sleuthing skills, I managed to find it. Tickled Media. I just sent them an email stating my disappointment in the matter. I hope they give me a satisfactory reply. I’m not looking for compensation, but really that they think before they send out samples to people. I’ve been writing reviews for The Sample Store and have not faced such issues before. While I’m not some famous blogger, I’m not a newbie reviewer either, so I feel this is something I should speak up about.